You are currently browsing articles tagged bulb. 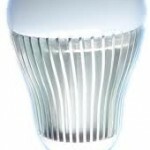 Who would have thought that we’d be holding a 20W LED replacement bulb in our hands in 2012? 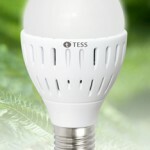 Well we are, and thanks to LED light manufacturer TESS, we have the first 2000 lumen output bulb that easily matches a 125 watt incandescent bulb. Similar in size to a normal incandescent bulb, the secret of this bulb is a 100 lumen per watt LED luminous output system and an advanced thermal dissipation technology that includes vents and a small internal fan that shunts hot air out of the casing. Pretty neat! Longevity? 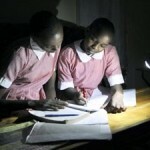 Well lumen decay is good, and 70% of the original lumen output is maintained at 40000 hours. Our only concern here is the longevity of the electronics in a bulb putting out serious light. That said, the colour rendering index is as expected – around 70, and with CE, UL and FCC certifications, you are fairly certain of a well designed product. No one is talking about cost and while that may be the least pretty part of the equation, the product is likely to gain ground quickly. 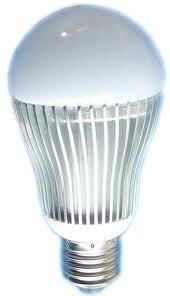 Everite are expecting a 60W replacement to dip below US$10 in latter 2012, so who knows what this bulb will cost. Our guess, US$19-24.